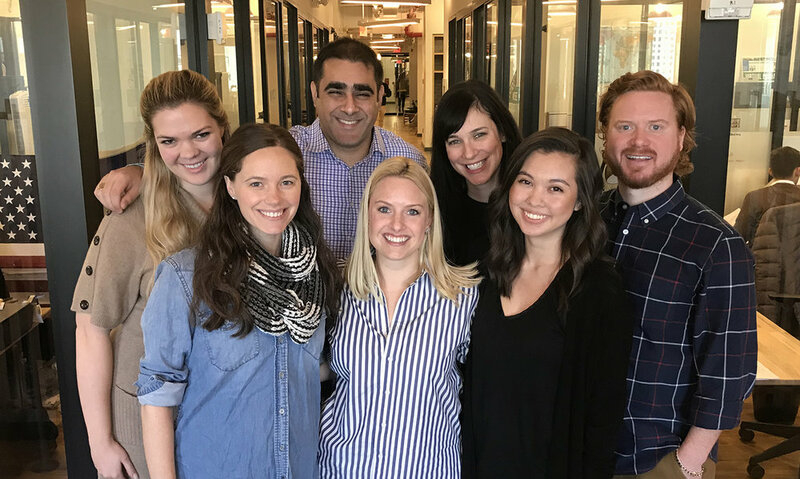 With the holidays upon us, we thought it would be fun to spotlight some of our most talented young e-commerce members. We’re lucky to have so many great and diverse companies to shop from during the holidays and throughout the year. Care+Wear Co-Founder and CEO Chaitenya Razdan: Care+Wear is a leading innovative healthwear company focused on creating positive healing experiences for patients everywhere. Care+Wear’s initial products address the comfort of patients who have PICC lines or chest ports. Our PICC Line Covers and Chest Access Shirts were co-created with patients, clinicians, and hospitals to provide patients with wearable products that are both functional and fashionable. CR: New York is the hub for innovation. We are fortunate to have access to the healthcare, fashion, and consumer industries while also having many of our partners, including Major League Baseball and the National Basketball Association headquartered here. Access to resources, partners, and innovation are unparalleled. CR: Don’t forget how tight knit the community is. We’ve been able to meet the most amazing people by not being afraid to reach out to others. Everyone is always excited to help. CR: I walk to work every day and love being close to the office. Whether it’s having to run in on a weekend or getting those steps increased, I just love using the time to catch up on calls and speak to friends and family en route to the office. CR: The Natural History Museum. I’m still waiting for my invite to the museum at night so I can see everything to come to life like in Night at the Museum. CR: Battery Park. You have the bustle of New York there while getting to have a more suburban feel than Midtown. CR: The Freedom Tower. It reminds me of all of our amazing heroes who protect us on a daily basis. Can you tell us about any New York holiday traditions you like to take part in? CR: I think the lighting of the Rockefeller Christmas Tree really allows you to see the love and warmth that all New Yorkers have. The first year I lived in New York, I was a bit homesick and my friends made me go to the lighting. I immediately fell in love with the city and haven’t left! What's the most magical thing about New York during the holidays? CR: The lights! You can’t help getting into the holiday spirit walking outside! What is your favorite hack for staying warm during NYC winter? CR: Lots of hot chocolate. And a really warm jacket and gloves. What's your favorite way to spend a snow day in the city? CR: I wish I could say a snowball fight but I never know where they are! Can you let me know where one is next time? What's the best gift to give to an NYC tech entrepreneur? 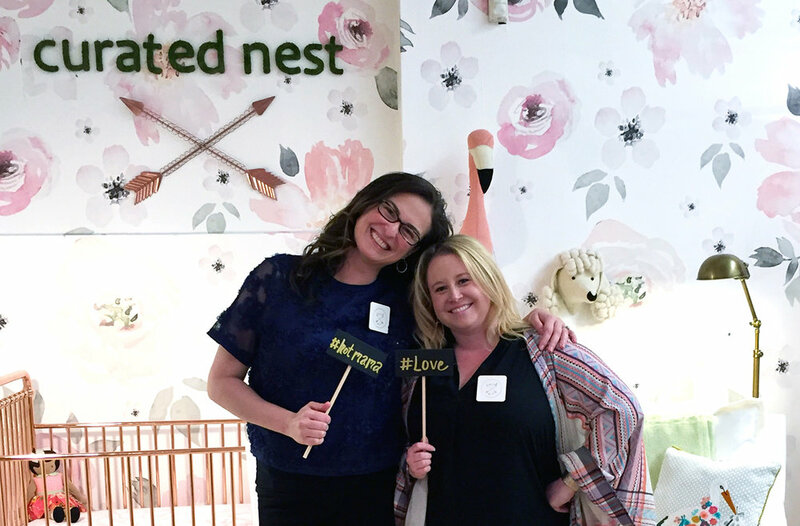 Curated Nest Co-Founder Erin Coren: We are an e-commerce business founded by two moms on a mission to provide new and expectant parents an easy and transparent way to design their nursery with personalized one on one customer service. You can buy by the piece, by the room, or have us create a custom nursery for just you. EC: My co-founder Lina and I love to work with other “mom-treprenuers” and feel that NYC is a vibrant city to collaborate and other like-minded moms and sell their handmade local products on our site. We believe in supporting other moms who are creating amazing products to support their own family. EC: Make the most out of being around an endless amount of fellow entrepreneurs. It's a great place to get input from one another and collaborate whenever possible. What is different about being a mom in NYC that's different from other places? EC: You really understand the term, "it takes a village.” Your neighbors and your friends really become a family support system. Being a millennial parent, there are tons of neighborhood based mom groups to connect and get advice from local moms. EC: I always wanted to do interior design in NYC. Then I met my husband while traveling and he lived in the West Village. This year will be 10 years. I moved a month before the recession and took the opportunity to create an interior design business and never looked back! EC: I walk upstairs. As we are an online business, telecommuting allows us to save on commute time and overhead. Thanks FaceTime! EC: I absolutely love the main building on Ellis Island. The millions of immigrants that came through it to start a life in a unseen country is inspiring, and the building was restored so you feel like you are walking back in time. EC: The West Village is my favorite neighborhood because it has gorgeous brownstones and quaint restaurants on cobblestone roads. It’s not on a grid like most of New York, which makes for less traffic and a quieter neighborhood vibe. EC: No matter what your beliefs are, there's something really special about winter in NYC. Most stores decorate for the holidays and you can build yearly family traditions like ice skating in Rockefeller Center and checking out the window display and light show at Saks Fifth Avenue with a cup of hot chocolate! EC: Every neighborhood in NYC is around 10 blocks, and every neighborhood takes pride in decorating for the holidays. I love walking around and seeing the little mom and pop shops and how they decorate. EC: On the bitter cold days, I use instant hot hand and foot warmers, which keep me toasty for hours. EC: I created new traditions with my toddler where we build a snowman. Well, I build a snowman and my son knocks it down and then wants to build a new one. We follow this up with hot chocolate and watching the original version of Frosty the Snowman. EC: An Apple iPad pencil! I lose those like it’s my job. Haute Hijab Co-Founder and CEO Melanie Elturk: We make high-quality, beautiful hijabs (headscarves worn by Muslim women) for thousands of people around the world. Today, the majority of Muslim women still get their hijabs from either overseas (I mean physically going overseas and stocking up on hijabs) or from mass retailers (really just neck-scarves worn on the head that are too thick, not of the right size and always terrible quality). We wanted to make it easier for American women to have access to amazing hijabs while building a world where every woman feels comfortable and confident. ME: Besides being the fashion capital of the world, New York has always been my favorite city in the world (and we've been to some hella dope places) so to live here is just a dream come true. Also, it doesn't hurt that my husband and I are both Midwesterners, so to be somewhat close to home is a huge plus. ME: Find a way to de-stress and take mental breaks. I lived in Detroit, Chicago, and Dubai, and there's nothing quite like the energy of New York. But it can slowly start to eat away at you, especially as a founder. Whatever it is that gives you joy and peace of mind, find time to do it and do it often. What are some of your favorite designs you released in 2017? ME: We released these awesome Georgette hijabs that are amazing because the texture in the fabric helps them from slipping. It's genius! ME: We came here to work on Haute Hijab full-time. We quit our jobs last year and moved to NYC to pursue our dreams! ME: Via, all day everyday. ME: Riverside Park. Not even close. ME: Everything! The lights, the festive decorations, winter village at Bryant Park, the holiday songs blasting in every store and most of all people get a little bit jollier during the holidays. I love the random smiles from strangers during this time of year, and even though I don't celebrate Christmas I love greeting everyone with a huge "Merry Christmas!" ME: I get my winter boots a half size too big so I can wear a double layer of thick wool socks. Also, touchscreen gloves so you don't have to take your gloves off when using your phone outside. ME: Snuggle up on the couch with comfy pajamas, hot cocoa, and a holiday themed movie. If I'm feeling really extra, get outside and make snow angels! The first snow is magical. ME: A gift certificate to an incredible spa. New Year's Eve in NYC: go out or stay in? ME: Stay in! Watching the ball drop on TV has been a family tradition for as long as I can remember. We invite friends over, eat some good food and enjoy the show. How do you plan to spend January 1? ME: Cleaning up the mess from the night before. I really take time to journal and read through entries from the past year. What goals did I accomplish? What have I yet to complete? Then I think through my goals for the coming year and envision where I'd like to see myself in a year from now. Keep CEO Stacie Henderson: Keep curates the best products from across all e-commerce into a beautiful showcase of trending, unique and fabulous finds. We are revolutionizing the way women discover and buy trending products across the web. Keep provides its community with the latest trends in fashion, home decor, accessories, and design. What are some of the best reasons to build an e-commerce startup in New York? SH: The talent, the diverse industries in New York, and since many of our partners are from the fashion sector, it is great for our company to be located in the heart of it all. SH: No matter how busy you are, make the most of opportunities to meet great people in New York. A strong network of supporters is key. SH: I went to graduate school in Milan, Italy at SDA Bocconi. They have a program from their business school that has a focus on luxury fashion. After working in Florence with Ferragamo for about four years, Versace asked me if I wanted to work in New York. SH: In Midtown, I still like Michael's. Downtown, I like having meeting at Maman. SH: Double Dutch Espresso in Harlem. SH: The Studio Museum of Harlem. SH: Once I was getting into a taxi, and I had the door open. A woman asked me where I was going. I thought she wanted to share the taxi. When I told her, she told me it's not that far and I can walk and then went under my arm and got in the taxi. Is Keep offering any specials for the holidays? SH: We have redesigned our home page and focused all of our content around gifting to end the holiday struggle for our Keepers. We have items with offers that are exclusively on Keep throughout the holiday season. SH: With the team, we have a new post-Thanksgiving tradition—SoulCycle followed by drinks and nachos. SH: I love the first snowfall—especially in Central Park. This year I was doing a 15k during the first snowfall in Central Park and was absolutely magical. SH: I have these amazing DSquared Moon Boots. I adore them and they keep me warm. I drink more coffee than I probably should and also use hand warmers. SH: I like to take my kids sledding. They don’t like going with me anymore because I tend to “take over” their sleds. SH: Sleep, but since that’s impossible, any cool new gadget to help save time. SH: I love to run so I’m doing the NYRR midnight run that starts at 11:59 p.m. on December 31. I usually have a party at my house with about 50 people that will still happen due to popular demand. SH: My friends and I are going to brunch, and I will reluctantly take down the Christmas tree. Print All Over Me Co-Founder Meredith Finkelstein: We are a platform for collaborating and creating custom apparel and accessories. You can make, sell, and buy custom pieces such as a silk caftan or neoprene trench coat. There are no minimums, you can buy just one, and PAOM does all the manufacturing and shipping from our studios in Shanghai, China and Savannah, Georgia. 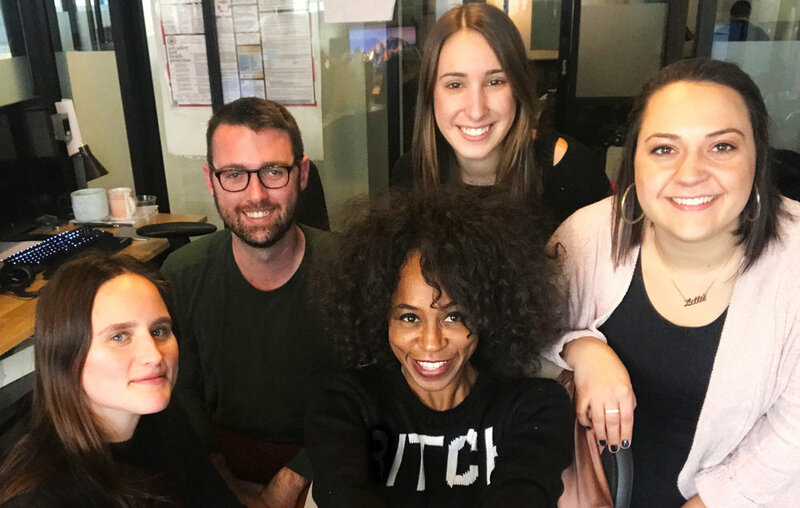 MF: We draw endless inspiration from all the fabulous people doing amazing things in New York, from art and design to publishing, theater, education, tech, and beyond. MF: Embrace the distractions, take all the coffee meetings, and learn from your fellow New Yorkers. What sets NYC's art and design landscape apart from other places? MF: New York is in many respects a hard place for artists and designers to live. It is expensive, competitive, crowded, and everything is always sold out. But it's a crucible that produces amazing work from the intensity of its pressures. What are a few of your favorite prints from 2017? MF: From PAOM, I love our Powerpuff Girls collaboration. People create their own Powerpuff avatar and print it all over custom pieces. In fashion, Telfar had tee shirts that had his whole collection printed on the tee shirt. It’s brilliant. MF: Madison Square Park. It’s beautiful, has Shake Shack, and fantastic arts programming. MF: Lunch meeting at the Nomad Hotel, and coffee and book at Cafe Sabarsky. MF: I am currently nursing a B&H addiction. The soup (borscht) and salad is very comforting during these cold and dark winter months. MF: The New Museum, of course! We were even a member of the first cohort of the New Museum’s incubator, New Inc.
MF: I go ice skating at Rockefeller Center. I also like to look at the department store windows displays, while we still have department stores. MF: A Print All Over Me neoprene trench coat. MF: A mobile-phone-controlled sous vide wand. MF: I’ll be spending it in virtual reality. When I am not printing all over stuff and hacking on random future tech like crypto, I like to binge experiences VR. I am planning to spend some time with Fantastic Contraption, Fruit Ninja, Apollo 11, and The Climb.